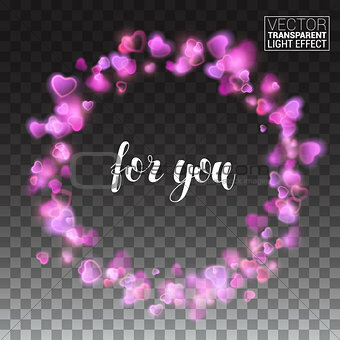 Image Description: Abstract circle pink hearts design element decoration holidays valentine's day. Realistic particle sparkling Bright Glitter effect. Transparent background.